The words of tango songs are for many of us for whom Spanish is not our native language, a mystery. If you are not fluent it is the singer's voice, not the words, that you remember. This is a blog with a difference, it is actually telling you something about the songs and the orchestras, as well as giving a translation. 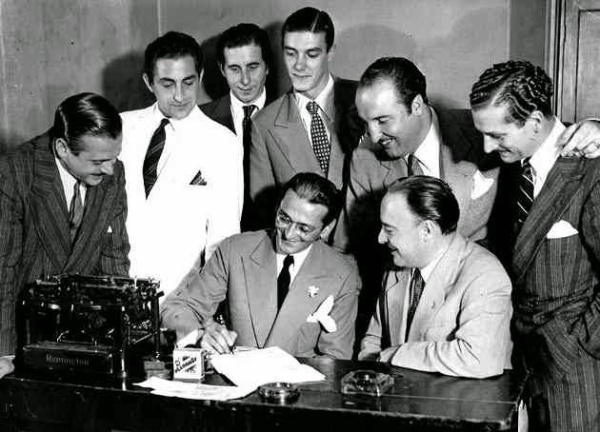 Read the post on Pugliese to find out more about this photo...they all look very happy about something!